The recent Bollywood news regarding Ekta Kapoor’s motherhood has once again unfolded the opportunity of surrogacy through the advancement of assisted reproductive technology (ART). Ekta Kapoor is an established producer of many Bollywood films and television serials. Currently, she is enjoying plenty of cheerful bustle for the birth of her first baby boy on 27th January 2019. She had desperately revealed on Twitter that her new journey became only possible due to surrogacy. Although, Ekta Kapoor is single her feelings towards her nephew instigated her to opt to surrogacy to enjoy love and affection from her own child. ‘India Today’ reported that Ekta Kapoor was inspired by her brother Tusshar Kapoor to become a single mother. Tusshar Kapoor also opted surrogacy using in vitro fertilization (IVF) and he is enjoying his single fatherhood with his son Laksshya since 2016. Ekta Kapoor is fond of kids and she became a mother at her 43 years of age. In her twitter handle, she admitted that everything in life cannot follow the normal path, but accessing an alternative way can solve many hiccups of our life. Ekta Kapoor opted surrogacy and fulfilled her wish to become a parent and now experiencing the immense blessings of motherhood. Dr. Nandita P. Palshetkar is a renowned IVF specialist in India, who is associated with many IVF units located in distinguished hospitals. She reported that the journey of Ekta Kapoor towards motherhood was not very smooth. Ekta Kapoor was trying to become a mother from last seven years opting different choices available under ART, including intrauterine insemination (IUI) and in vitro fertilization (IVF) method. Ms. Kapoor had undergone multiple cycles of IVF, as she wanted to carry her own child. The frozen eggs of Ms. Kapoor were used to conduct IUI and IVF process. But unfortunately, all these attempts failed. Dr. Palshetkar suggested Ekta Kapoor opt for surrogacy. Under Dr. Palshetkar treatment guidance, Dr. Hrishikesh Pai carried out the treatment at Bloom IVF center in Opera House. The baby boy is born at Surya Hospital, Santacruz. It may be surprising for many Indians, because the Surrogacy (Regulation) Bill 2016 has banned commercial surrogacy in India, like many other Western countries. The objective of this Bill is to restrict the unethical surrogacy practices in India. This was followed after getting several complaints from the economically weaker women who were enticed for money and taken away from their families to become a surrogate. But, this Bill failed to restrict Ms. Kapoor to become a single mother. The statement of Dr. Hrishikesh Pai clarifies the fact. He stated that “As per the new provisions, there is a 10-month moratorium after the Bill becomes an act”. Ekta Kapoor regularly took detail updates about the health of the surrogate mother and baby’s condition during the whole gestation period. This dedication shows her keen interest to become a mother and tremendous care for her child. Finally, her dreams come true, she named her child Ravi Kapoor. The country wholeheartedly accepted Ms. Kapoor’s son. Dr. Bhupendra Avasthi, pediatrician of Surya Hospital confirmed that the newborn child is healthy and the birth weight was more than three kg. The baby got discharged from hospital the next day. 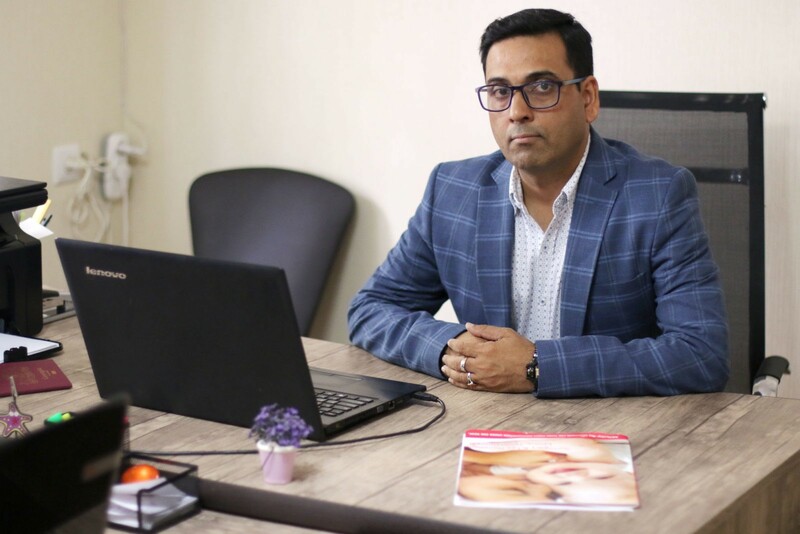 Ravi Sharma is the director at ARTbaby Global (ARThealthcare). And a successful pharmacist and a marketer. He loves to write about IVF, Surrogacy and other ART (assisted reproductive technology) news, issues, and updates. He is a Pharmacy graduate and M.B.A (marketing). This entry was posted in IVF, News, Surrogacy and tagged celebrity, IVF, news, Surrogacy. Bookmark the permalink. 23 Tarkhnishvilis street. Aprt 10, Tbilisi , Georgia.